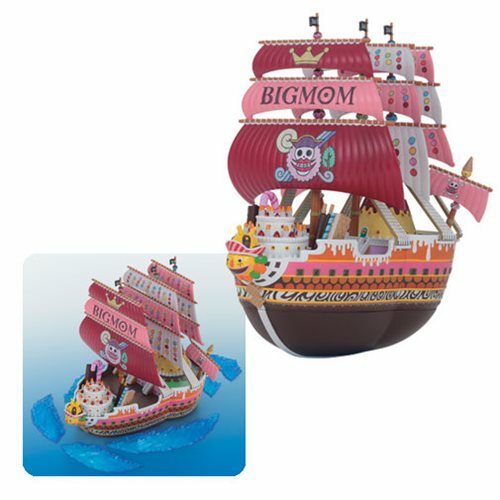 The "Big Mom" ship from the Whole Cake Island arc of the popular anime One Piece is now a part of the Grand Ship Collection line-up! The One Piece Big Mom's Pirate Ship Grand Ship Collection Model Kit sails the seas with accurate detailing and added wave parts for added play and realism. Set includes wave effect parts. 4x Runner. 1x Sticker sheet. 1x Marking sheet. 1x Instruction manual. Ages 15 and up.